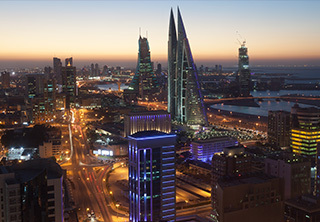 Busaiteen is perfectly situated in Bahrain as it lies in a close proximate to Muharraq and the main island. It is easily accessible through Sheikh Isa bin Salman Causeway. The district includes many important facilities like King Hamad University Hospital and the Royal College Surgeons of Ireland. It also has many recreational and commercial centers. Investing in purchasing properties in Busaiteen is absolutely lucrative due to the high demand on its realty especially lands. We have combined here a number of the best-displayed lands for sale in Busaiteen which vary in details and proportions to meet all clients' demands. The lands available feature different sizes, prices, locations, and classifications. Check our lands and choose the one with the most convenient specifications to your demands. Contact us to enquire about any land and one of our representatives will get your call and offer the needed support.